At Samantha Reef you may have to spend more time feeding Florida Keys shark than actually reef diving. The marine life at this popular Florida Keys dive site has actually become rather "friendly". The small group of nurse shark and stingrays in the area will come up to you expecting their daily hand out. Once you're done feeding the Florida Keys shark you may want to get down to the business of Marathon diving. 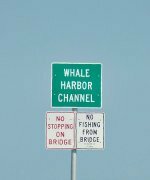 This Florida Keys dive site has a long ledge that spans a depth of about 15 - 25'. The ledge is rather like a winding path you can follow along as you explore the crevices. Along this "path" you'll encounter numerous schools of fish and see a variety of coral and crustaceans. The clear water and the diverse marine life found along the ledge make diving or Florida Keys snorkeling a lot of fun at this reef. Of course, many of the locals consider it "shark reef", and they're certainly correct. It's not every day a diver gets to pet and hand feed nurse shark and this definitely adds another level of "charm" and interest to anyone on a Florida Keys diving holiday. A word of caution. These sharks and stingrays have basically lost their fear of humans. They are "friendly" but they are still wild and dangerous creatures. Typically any creature that expects a handout and doesn't receive one gets angry. 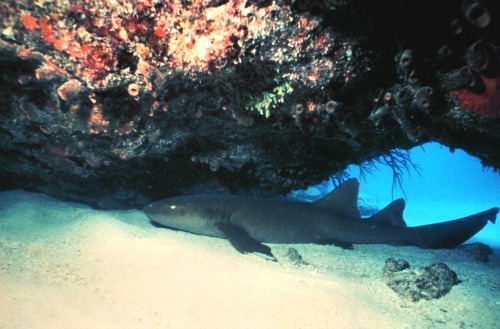 Even though nurse sharks are timid by nature, they have shown aggression when mating. These sharks appear to be juveniles but caution should always be exercised around them. That being said, enjoy your time petting and feeding the sharks - just remember to be careful.